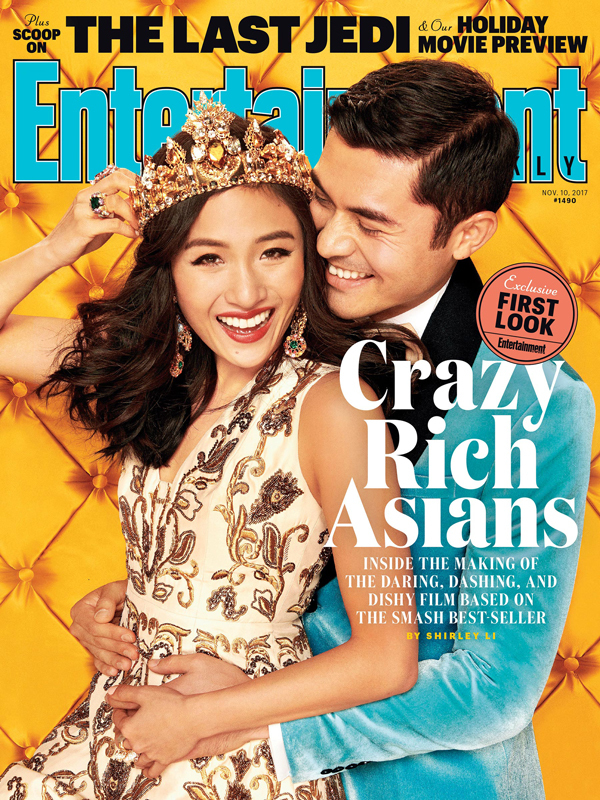 Warner Bros's "CRAZY RICH ASIANS" gets exclusive first look cover story in Entertainment Weekly. The film is slated for release August 17, 2018. EW's exclusive first look cover story can be read here: ew.com/movies/2017/11/02/crazy-rich-asians-first-look-ew-cover/. "Crazy Rich Asians" stars Constance Wu and Henry Golding and is directed by Jon M. Chu. EW goes into how Kevin Kwan’s debut novel best seller came to the big screen as well as some of the key elements which made the book stand out and other stories from the cast and crew of the film. See the photos of how Wu and Golding became their characters.